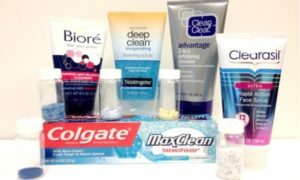 The Inconvenient Truth of Plastic Pollution: Microplastics in Our Drinking Water, Ruining Our Ecosystems | GSK Climate Control, Inc. The alarming rate of global plastic production and contamination is a pervasive and serious problem, threatening every level of the food chain- including our own habitat and health. Plastic pollution is present in our oceans, bays, rivers, water treatment plants, sewage, air, and even our tap water! A recent study of 33 tap water samples in the US, found 94% of the drinking water sources contained plastic fibers, the same average as a similar sample study in Beirut and Quito, Ecuador. These toxic plastic fibers were found to be present in familiar places like the U.S. capitol building, Trump Tower, and even the EPA’s headquarters in NYC. No matter your geography or income, plastic contaminants are present in your water, your food, and your environment – whether you’re aware of it or not! On a global scale, the world produces over 300 million tons of plastic each year. Of this 300 million tons, 40% of it is used just once, the majority of which is carelessly discarded – littering the land, air, and bodies of water surrounding us! 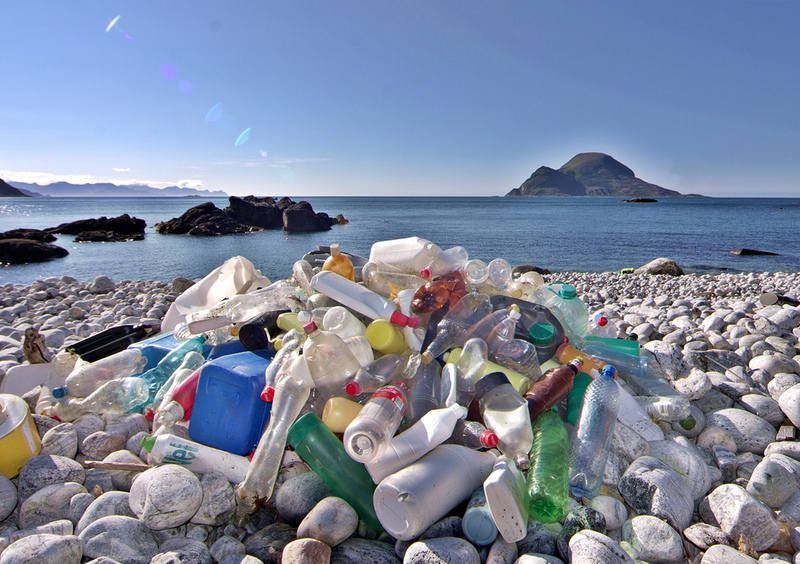 Roughly 20% – a mere fraction- of these 300 million tons of plastic, is responsibly recycled. The average life of a piece of plastic is 500 years and is non-degradable – it persists in our environment for centuries – it does not just go away. Over time plastic is broken down, due to UV radiation, oxidation, and mechanical forces, into tiny pieces of plastic, often times smaller than 5 mm (1/5th of an inch), termed ‘microplastics’. 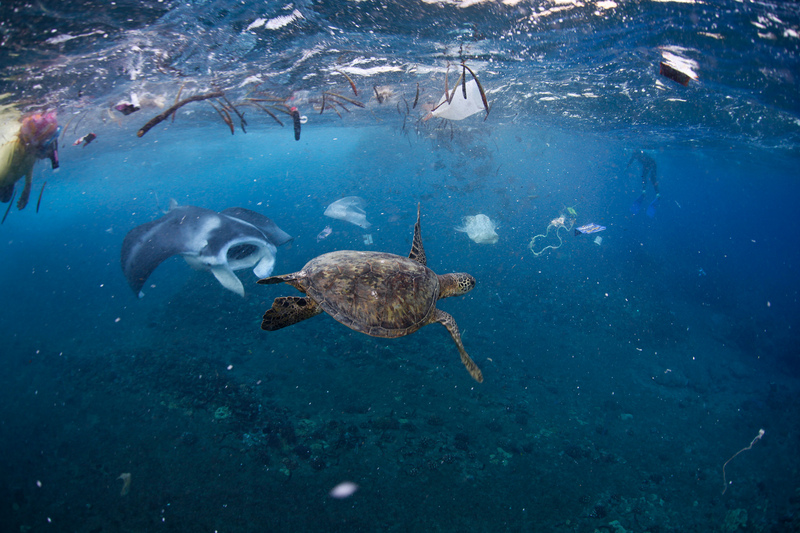 In some areas of the ocean, these ‘microplastics’ outnumber plankton by 6 to 1! Microplastics are consumed by marine life who mistake it for food, where the toxic cycle is inevitably carried further along the food chain as bigger fish eat smaller fish, until it is eventually served to us as seafood on our plates! Making matters even worse, microplastics have been found to be extremely hydrophobic carriers/absorbers of harmful toxins, pesticides, and chemicals such as PAH’s, PCB’s, PBT’s, BPA, DET’s, and DDT’s – all commonly recognized human carcinogens! Non-degradable plastics are made up of hazardous polymer additives such as plasticizers, flame retardants, UV stabilizers, colorants, and antimicrobial substances which make the plastic so durable and viable in a multitude of applications. These agents absorb other toxic chemicals from the environment, which are then leached into the environment and waters. Once disposed of, the toxicological impact of the plastic bioaccumulates and persists in polluting the environment on a global scale, as ocean gyres allow the trash to travel for thousands of miles through our waterways. The plastic microfibers that make up synthetic clothing are merely 1/100th the width of a human hair, yet shed hundreds of thousands fibers in every wash! These fibers are carried into our domestic water and sewage, then to our local wastewater treatment plants, where the large majority of the fibers pass through treatment un-captured and into our essential water sources. Plastic is an ubiquitous pollutant with global production growing exponentially. 80% of the waste that ends up in the ocean polluting marine life, threatening our ecosystems, contaminating our water supplies, and posing a hazard to our health – is generated on land. The number one contributor of all this waste is plastic! Even non-recycled plastic on land and in rivers eventually flows into the ocean. Throwing plastics into our landfills is a waste of a recyclable resource. Although research into the effects of plastic pollution and microplastics in the environment and human health is relatively new, numerous studies have proven heedless plastic consumption and irresponsible disposal is compromising our water sources and aquatic environments, posing a serious threat to our most essential resource for human life – water. 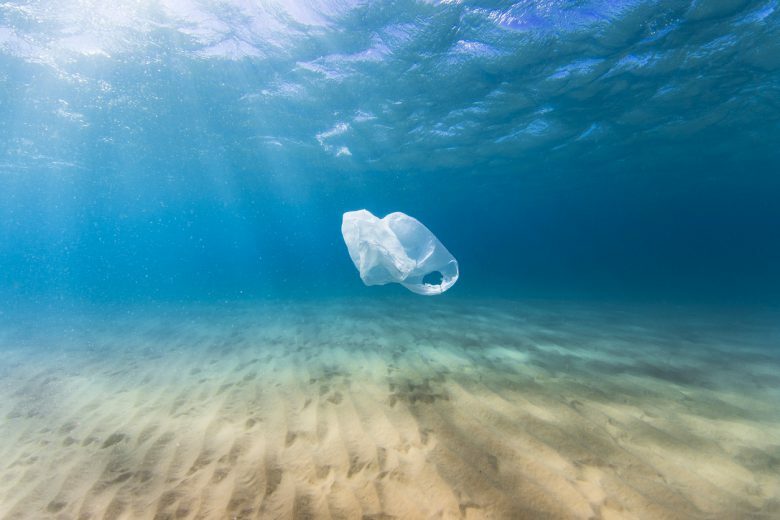 When plastics are discarded instead of recycled, they eventually degrade into microplastics, entering waterways where they’re consumed by animals in the aquatic environment, causing over 1,220 species to suffer. Mircoplastics have been proven to alter reproduction capabilities, predatorial behavior, feeding, and digestion – ultimately endangering our ecosystem’s biodiversity and health! 90% of seabirds alive today, have ingested some form of plastic, compared to the presence of plastic in only 5% of the seabirds in the 1960’s! Because these inorganic polymers and chemicals that make up plastic cannot be digested or excreted, these animals will most likely die as a result. 1 out of every 3 shellfish sampled exclusively in the U.S. was found to have some sort of plastic remains present in their gut. In both Indonesia and the U.S., 1 out of every 4 fish were found with remains of small plastic or microplastic fibrous debris in their systems. Other studies have found similar results in plankton and other filter feeders – animals that are a primary food source for all the larger marine wildlife. This cycle of plastic contamination is carried through the entire aquatic food chain, poisoning the bigger fish that eat the smaller fish, which eventually end up on our dinner plates! Reduce your use of single-use plastics (i.e. plastic shopping bags, containers, utensils, straws). Buy a reusable water bottle, grocery bags, etc. Practice ‘Leave No Trace’ policies. Whether you’re out for a hike, walk, run, to a concert, for a day at the beach, or by the river, pick up any litter and pick up after yourself, leaving no trash behind. 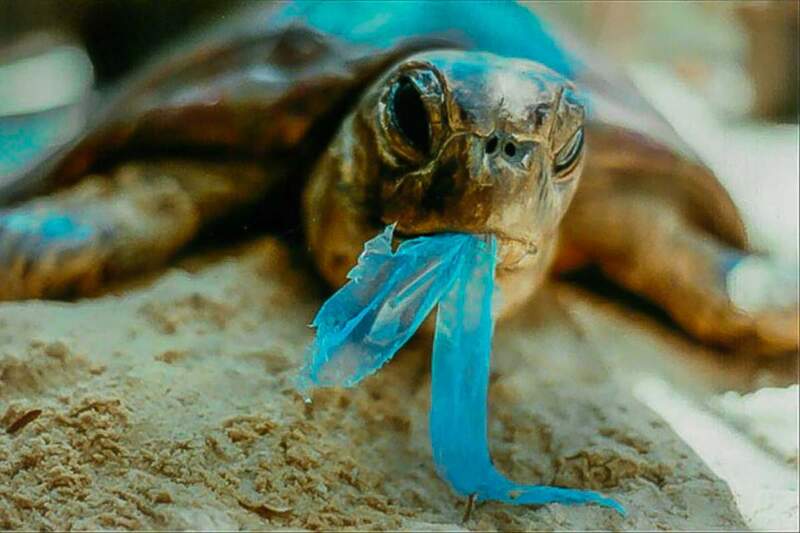 Even if it’s not your litter, pick it up, knowing you’re doing the environment and wildlife a favor! Choose to buy only recyclable and/or degradable/compostable products. Refuse styrofoam to-go containers (as they’re non-recyclable). Foamed Polystyrene, commonly called ‘styrofoam’, is a polystyrene plastic no. 6 (including foam cups, take-out containers, etc.) that is not recyclable at the vast majority of waste services. NYC has issued a ban on all styrofoam containers from food establishments, food trucks, stores, and packaging facilities effective November 13th, 2o17, arguing styrofoam is economically infeasible to recycle. Use re-usable shopping bags/totes at the grocery store and when running errands! Buy sustainable natural fiber clothing or consider installing an in-line washing machine filter like the Wexco Filtrol 160, which has the ability to capture synthetic clothing fibers before they enter your plumbing . Scientists and researchers have developed inexpensive synthetic clothing washing bags like the Guppy Friend, that when placed in the wash, prevent synthetic clothing fibers from entering your plumbing and sewage by capturing the fibers in a bag where they can easily be disposed of after the wash.
To effectively keep microplastics from contaminating your drinking water, consider installing domestic water treatment systems, such as in-line carbon filters, UVC germicidal lamps, Reverse Osmosis systems, or a combination of both! 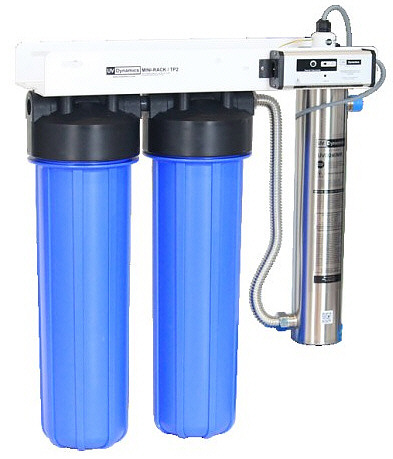 All three methods have differing capabilities in their capacity to remove micron-sized particulates (such as microplastics), chemicals, pesticides, fluorides, chlorines, and VOC’s from your drinking water. 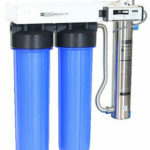 Contact your local plumbing experts at GSK Climate Control, to discuss your water treatment options!